Here is a video taken from the crowd at Nats Park last night during the Washington Nationals Loss to the St. Louis Cardinals. It is a bunch of Pete Kozma's at bats with some commentary. There is only one catch. 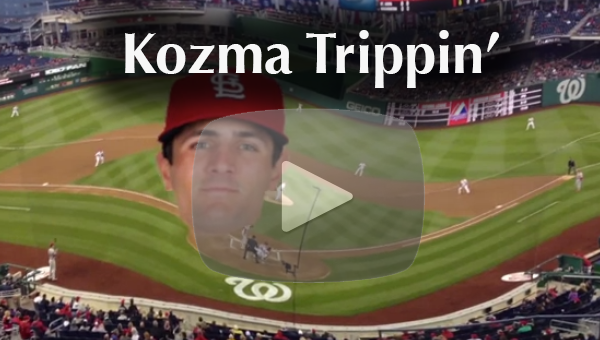 It's shot in Kozma-Vision. Kozma vision is how most Nats fans will be viewing games against the Cardinals until the Nats get a chance for revenge to cure this awful affliction. I mean, his head sort of floats around in my face every day of my life. There is also a neat foul ball scene in there too. Check it out.